Welcome to Delta Rho's website! Founded in 1980, Delta Rho is celebrating 39 years of scholarship, research and service. 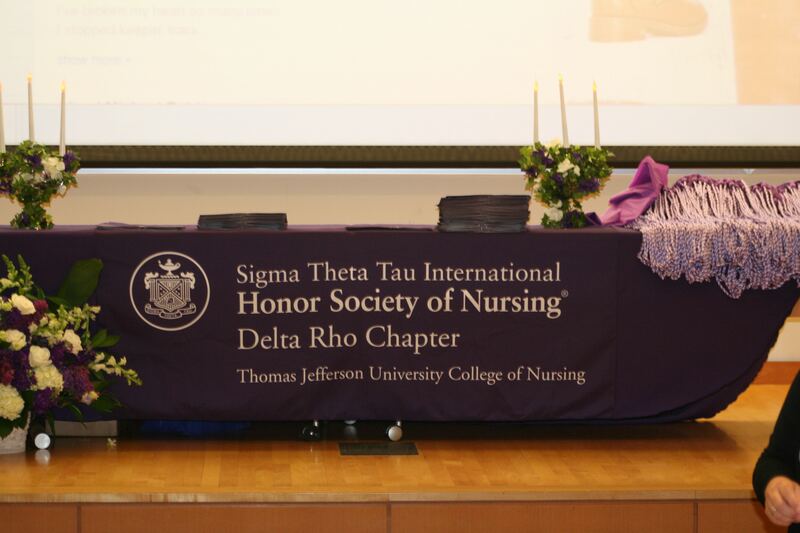 The Delta Rho Chapter, located at Thomas Jefferson University College of Nursing, is dedicated to making a difference in health in our community and worldwide. Delta Rho provides supports research and evidence-based practice initiatives and a variety of philanthropic endeavors. We encourage you to get involved in the Delta Rho Chapter! Delta Rho Named Sigma Website of the Month! We have been named Sigma Chapter Website of the Month for April! Thank you for your active participation, and please continue to use our discussion board to spread good news and stay in touch! We will have a featured question for discussion each week for the month of April. We look forward to hearing about your experiences. Thank you for all that you do! ​Thank you to all who attended Delta Rho's Spring Research Seminar. Several presenters shared their research findings with students and fellow nursing colleagues. Presenters and participants included nurse colleagues from Thomas Jefferson University Hospitals, Jefferson College of Nursing, colleagues from the College of Health Professions, and JCN nursing students. Delta Rho members are continuing to do wonderful things in the world of nursing research and clinical practice. A special thanks to all for making our Delta Rho Spring Research Seminar a great educational experience! Delta Rho Chapter Vice President, ​Dr. Valerie Clary-Muronda​, will be attending the United Nations Commission on the Status of Women Conference in March 2019. Please click here to learn more about Dr. Clary-Muronda.